The jammer of the month for June 2014 is... 58spots! For being a great commenter and buddy, and just generally awesome! The jammer of the month for April 2014 is... jzale314! For being a great commenter! The jammer of the month for January 2014 is... HelpTheEndangered297! HelpTheEndangered297 is a great jammer and blogger. The jammer of the month for December 2013 is... cubscout9! The jammer of the month for November 2013 is... mythicalspiritwolf1! Mythical is a great blog commenter and an awesome jammer! The jammer of the month for October 2013 is... pokemonpichu! Thanks for being such a great buddy! The Jammer of the month for September 2013 is... CinnamonCake! Although she quitted, CinnamonCake, also known as Fuzzy Shyivy, certainly deserves this award. The Jammer of the month for August 2013 is... Jokapaka! If you find Jokapaka around Jamaa, you certainly have a fun time ahead! The Jammer of the month for July 2013 is... TheSlidoo! TheSlidoo is a great jammer, always willing to help out everyone in Jamaa! Click here to visit his amazing forum! The Jammer of the month for June 2013 is... Pumaa! Pumaa is very fun to hang out with! The Jammer of the month for May 2013 is... pandabed4177! Pandabed4177 is a very kind jammer and a great commenter on this blog! The Jammer of the month for april 2013 is... BlueGecko! BlueGecko is a very nice blogger! The Jammer of the month for march is... Breathless! Breathless, also known as xXFreeSpiritXx and Goldfishypuppy, is an awesome jammer! The Jammer of the month for February is... Snowyclaw! The Jammer of the Month for January is... Ainoa18! The Rasta Bunny is an awesome friend! Both in AJ and real life! The jammer of the Month for December 2012 is... Kinyonga! MisterChunkyBuddy, How do you make a blog? Becuz I really want to make my own. Go to blogger.com, click `create a blog´, and then choose the desighn and start making posts. good luck! my dad said no. i have always wanted a blog but he said no! now i am cranky! thz for the answers! btw i friended you! Hi Mister Chunkybuddy i just want to say you have a PAWSOME blog and i wish i could see you on AJ. My user is pokeponylover. I'm Damira2004 I REALLY LOVE YOUR DEN!!!!! sorry about my spelling, I am only 8 years old and my bithday is going to be May 8. I'm in grade 3 in united kingdom! Tottally free! If you want to set one up just go to blogger.com get a google account or if u already have one sign in ake a name nd stuff and there u go. If anyone wants help setting up I can help i am an experianced blogger, I can help do ur blog design and stuff. To make me an admin, someone who can change the design, go to settings and click add author and then put my email in, cubscout2013@gmail.com, then i will acept once I have accepted go back to settings then next to my email click the drop down and press admin and I will be able to help with whatever! Hi. I really enjoy reading your blog, I have one too, but yours is much more amazing! I really enjoy reading your posts! From,coolpapa70232 You are really awesome and really nice Mister Chunkybuddy. hi my user is fiirst and I would like for you to friend me.i to think the diamond updade is really really unfair for non members.thanks!!! hey i am trailoftears i have a blog i am new to bloging and i was wondering if i could be in your blog? my username is trailoftears. heya! i need a code for free membership NOW!!!!!!!!!!!!!!! without a generator. can you put 1 on your blog?????? dear Nister Chunkybuddy, how do you become the jammer of the month? btw my username is gummybear6102. ADD ME! Being specially nice. But I know so many nice jammers that it is difficult to choose. ADD ME I SEND YOU LETTER IM Alastia ADD ME IM DESESPERATE! Add me I am ryanraj!!! I love this website. misterchunkybuddy how do you get the black glove thingie? Mister chunky buddy i have changed i can be a jammer of the month if you want and i love being:Caring, Kind, Friendly, helpful and best friend.Just buddy me and you could see how a good friend i am and i love love really love the blog. Can you buddy me? I'm miaox2. I am already ur buddy aswell as with kinyonga, blue gecko, pumaa, gecko guy and doomy panda! I AM A GREAT FRIEND AND HELP PEOPLE AND STICK UP FOR THEM. Hi!take a look at my animal,please.My username is angelina0798! I got all the stuff in my den trading, and I made this blog clicking `new blog´ in blogger. My username is the same as the names of all my animals, MisterChunkybuddy. Please use proper grammer. There is a thing such as periods and capitals. Thank you. Shush Mr. or Miss or Mrs. we can type how ever we want! 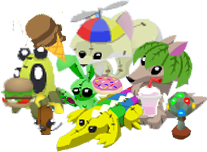 Ps:please contact us on all three of the animal jam acounts please please if you can please text back thanks again for everything bye. dear mr chunky buddy on the first page about the 100,ooo gems did you mean your self or or the tiger lion and lepord donstion? well if you were talking adout yourself I saw on you tude that some one had 999,999 gems but I bet you have more! and I think it is so thuotful of you to put on your blog about the tigers well if that was what you were saying if you want to tell me my user name is lexiandme3 bye!!!!!!! Sorry, can you explain that more clearly? Dear Mister Chunkybuddy, I really want you as my buddy on AJ -username- Rarestgirl0 - Lost me membership today but I can get another. Either way. If you do I can give u bunches of gliches and codes and more! :) pplllllz buddeh me. Oh, I have also seen a non member horse, a non member crocodile and three non member rhinos. There is a glitch, and I think it is that you have to do a glitch when your membership expires. I dont know what the glitch is, but when my membership expires i will try and find out. If I find out I will post it here. You should click on their name tag and look at their animals and achievements (also pets :D). The achievements will show if they joined the club or not and the animals will also give a hint. B is kind of correct. I've seen non-member foxes (two of them, to be exact) and a non-member giraffe. And my BFF's membership expired before, yet she chose to keep non-member animals and just fit in. Except if you look at her animals, achievements or trade list, then you'll know she was a member. It's not a glitch, it's a choice that AJHQ lets us make. ho sorry mister chunky buddy to comments ago never mind oh now i feel soooo inbarised! well never mind thanks! hey arcticstar how are you and why are you mensing my name! i cant email you i cant find the "new message" button so can you email me at aiae456@yahoo.com that would help ALOT. ok it might be a while ok? I LIKE CATS. POOP SMELLS GROSS! SOMEONE HELP ME IM SO STUPID. P.S give me membership codes never used please and thank you!And by the way i am alltimelow51. dear mister chunky buddy, I just want to know if you know how to get a free membership and if you know if spikes will be a membership gift again because I REALLY want a spike, and I was not on animal jam then or a member at the time. by the way my user name is wolves30049 check my account out. LOVE your blog. HI mister chunky buddy! i really need your help! im trying to help save endangered animals. my username is gummybear6102. if u get a jam a gram from me it is asking for ur help. plz plz help me! on this message again and i like potatoes. Ooooh! I didn't see I was it for December!! Your an awesome jammer, Mister Chunkybuddy. You inspired me to make my blog and become a pawsome jammer like you. Thank you. She is quite nice, really, and she let me post on her blog. Lol, I know you two arent really the best of friends. hi i really like ur blog it is so awesome i always come on ur blog when i need to know stuff about AJ or i just want 2 see what u updated!! IF ANYONE IS READING THIS,(EVEN THOUGH IT IS AT THE VERY BOTTOM). ANYWAY, UMMM....... MY USERNAME 4 ANIMAL JAM IS KAYLAKAT1, AND I JUST WANT TO SAY SEND ME GIFTS AND I WILL GIVE U CODES, GLITCHES, AND CHEATS THAT WORK! SO..... AGAIN MY USERNAME IS KAYLAKAT1 SO U CAN FIND ME AND SEND ME STUFF! I WILL ALSO BE YOUR BUDDY. HI KAYLAKAT1! I just want to say that i sent u my foxhat and that im SO grateful that u gave me codes, glitches, cheats and that u were my buddy! AND U STILL R! So this goes out to all of u jammers on animal jam to send stuff to kaylakat1! because she IS NOT joking! so send stuff to kaylakat1 and get free codes, glitches, cheats, and you get to be her buddy!!!! "Which is like TOTALLY AWESOME! ", says me. why dont the codes work??? this blog ROCKS! i love it. i have seen lots of others.... but this one is the best by far! PLease make me a blog like yours. Wow! Thank you so much for making me the jammer of the Month! um can i be a jammer of the month? how are these guy's jammer's of the month anyways? send me a jam-a-gram and buddy request my user=kay036 im rare if im full jst send jam a gram. It seems like you have created such an amazing blog! I know some people who are very kind and can be tagged to this jammer of the month. 1. XxNurIsabellaxX - She is my best friend in Animal Jam,She is also very kind.She gives people stuff for FREE and she had once gave me a non arre worn for free.She is also as Clawria.Her first account was jiliana9099 but she had shifted to XxNurIsabellaxX because she was hacked. 2. Muttsley03 - Very kind and has feelings for others. 3. IcyIcey : A very good friend to share secrets with. 4. Fathusky - A very kind jammer who always helps other for FREE. 5. Piasky101 - A very kind jammer and helps the others. 8. Flo949 - Another great friend to talk with. 9. Glowbie123- A great friend to play games with.She also created the game "Right Is Wrong".Also a funny person to entertain you. Are you the person who made Animal Jam??? I think you're really cool! Hey there, I love your posts and the jammer of the month thing! Its awesome to hear about jammers like that! So, thanks Mister Chunkybuddy! dear misterchunkybuddy, why do they call the pillow room the "adoption" room in animal jam? thanks!!! username is alltimelow51 contact me on animal jam and buddy me please! animal jam rocks I wonder who make up animal jam? I love animal jam I play it every day NO JOKE! Okay, for hammer of the month August 2013, I nominate my cousin partyanimalzz. Although that is my birthday month, she deserves it more than anyone! She was the founder of the nm movement.. 34 followers in 4 months. WHY I AM NOT THE JAMMER OF THE MONTH!!!??? i'm king and i was wondering what is your view on scammers? personally i think its mean and inconsiderate. exuse me what worth a spike collar or a pink party hat? P.S. Does the jammer of the month get to be your buddy? can you buddy me? that be great Mister Chunkybuddy.I really want to be a jammer of the month XD!!!! hiya! PLEASE can I be jammer of the month I play this in my spare time. ALL OF IT!!! I am flowergirl5 on animaljam please buddy me I am lots of fun and I can maybe give you a rare or two! p.s., how would anyone like a free rare? i'll give u 1! Can u catch up on things here ?? Here , i will give u a hint : UPDATE YOUR STATS !!! Do an October one for everything cuz it is October if u did not know . 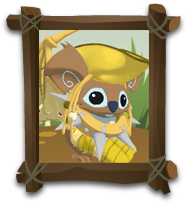 This is Ham10395 on animaljam . nice to EVERY BODY! so i just tell u. Hey there, it's HiThere55555! Just wanted to say that you're super nice, finny, and GLAMOROUS!! :D Wishing you a safe and Happy New Year!! Can I be jammer of the month? OMG! YOU SO LUCKY FRIEND WITH SNOWY CLAW BUT HOW ABOUT JULIAN2 AND AWESOME GUMMY?